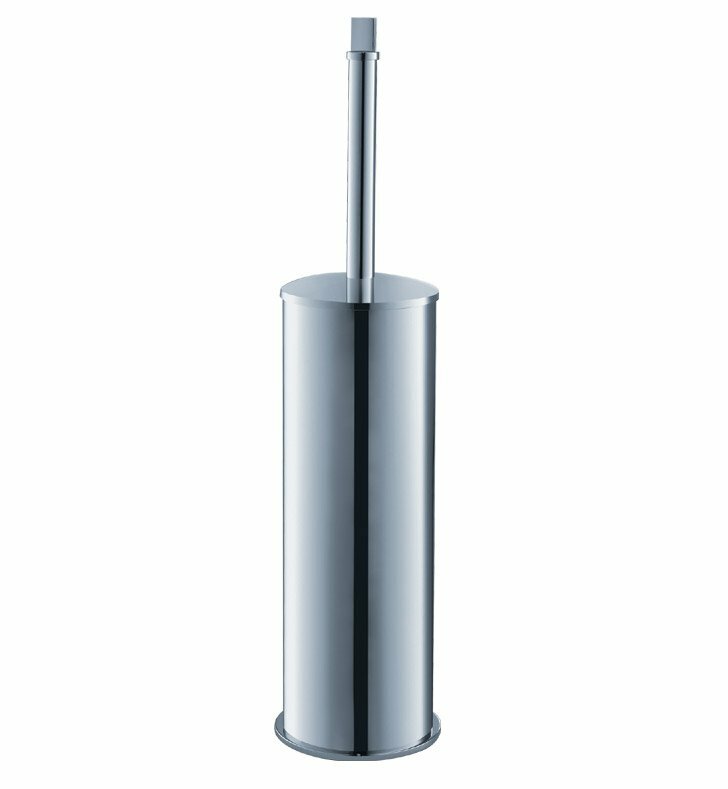 Transform your bathroom's decor with this unique Fresca Glorioso Ceramic Toilet Brush/Holder, part FAC1133. Instead of hiding the toilet brush in a corner, you can display it with pride. The bathroom toilet brush set features durable brass construction that resists corrosion from water. Simply mount the brush to the wall. It features an offset opaque glass bowl with a chrome band wrapping around it and a triple-chrome finish handle. The chrome will reflect and complement the colors of your decor. Each brass toilet brush measures 3 3/4" W x 3 3/4" D x 15 3/4" H.